ThemeLab is a WordPress theme company that specializes in creating high standard, easy to use premium WordPress themes. They aim to build beautiful, mobile-ready (responsive), SEO friendly, blazing fast themes that works out of the box and enable to you to make a unique website without needing to know any code. ThemeLab was originally establish in 2007 by Leland Fiegel as a WordPress tutorial and theme news website. In 2013 ThemeLab was acquired by Syed Balkhi who runs the popular WordPress resource website WPBeginner. He and his team overhauled the site and transformed it into a commercial WordPress theme shop with the goal “to make beginner friendly WordPress themes that simply work out of the box”. ThemeLab explain on their site they’ve noticed a growing problem with premium WordPress themes – they’re becoming too complex and bloated. ThemeLab is aiming to be different. They state: “we’ve noticed that WordPress themes have become too complex. In this race of creating the most feature-bloated WordPress theme, most developers have lost sight of what’s more important, usability.” ThemeLab aims to change that and “while most companies are focused on either design or functionality, our approach is to bring the best of both worlds with a special emphasis on usability”. 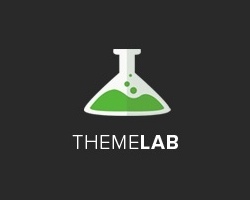 ThemeLab currently have 8 premium WordPress themes for blogging, business, magazine and church websites. 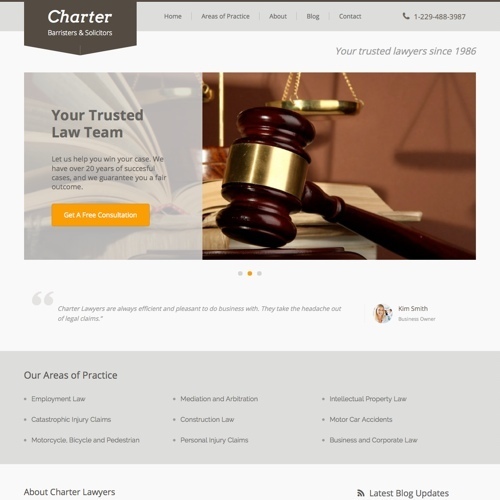 Charter is a business WordPress theme for lawyers, law firms and practices to represent their services and make a great first impression. It has a clean, professional and mobile responsive design and features include: a visual theme customizer, colour variations, portfolio management, custom page templates, custom menus and more. 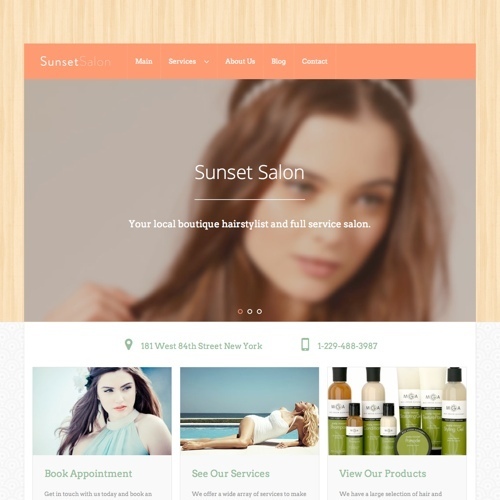 Salon is a business WordPress theme for spa and beauty salon, hair salon, wellness centre’s and other related small business websites. Some of the key features include: a responsive mobile friendly design, colour variations, visual customizer, portfolio management, social media support and more. 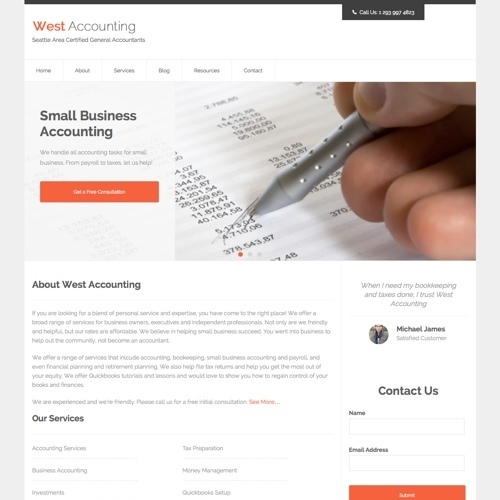 Accountancy is a small business WordPress theme for accountants, tax professionals, auditors, financial advisors, CPAs, and others. The theme has a simple and clean design to clearly display your services and contact information. The theme offers: a variety of layout styles and colour schemes, custom slider, featured testimonials, a mobile friendly responsive design, visual theme customizer, customised widgets and more. 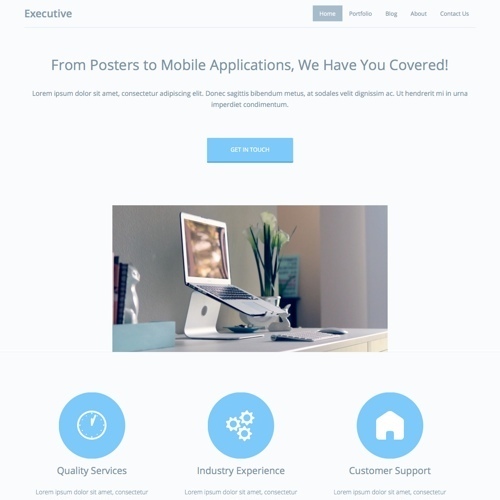 Executive is a general purpose business WordPress theme that allows businesses to represent their professional services and make a great first impression. It has a clean, minimal and mobile responsive design with a variety of layout styles and colour schemes. Other features include: top-notch code, portfolio management, custom page templates, testimonials plugin, custom menus, visual theme customizer and more. 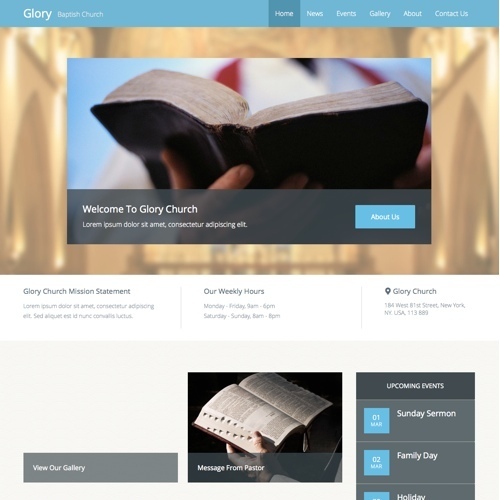 Glory is a church WordPress theme with a mobile friendly responsive design that allows you to easily showcase upcoming events, sermons, staff profiles, photo galleries, and more. Some of the key features include: simple event management system, sermons functionality (view sermons as text, audio, or video), built-in support for pastor and staff profiles, widget ready (so you can show important church information such as address (location), phone number, and other contact info), photo galleries, visual theme customizer, colour variations, social media support and more. 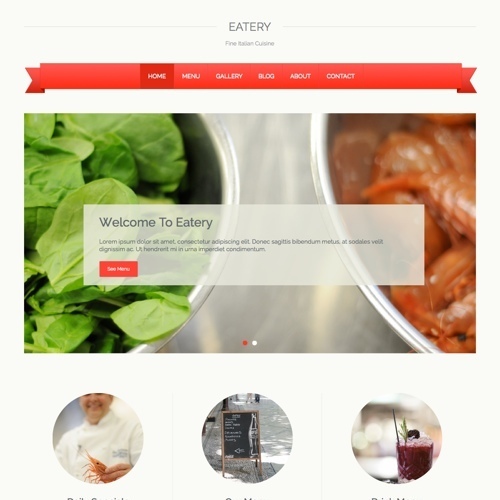 Eatery is a mobile friendly restaurant WordPress theme with a eye catching design. The theme comes with a restaurant menu management plugin to show your dining menu, drinks menu, and daily specials. You can also display important restaurant information such as location (address), restaurant hours, happy hours, phone number, and other contact information. Other features include: colour variations, a visual theme customizer, social media support, clean bloat free code, and more. 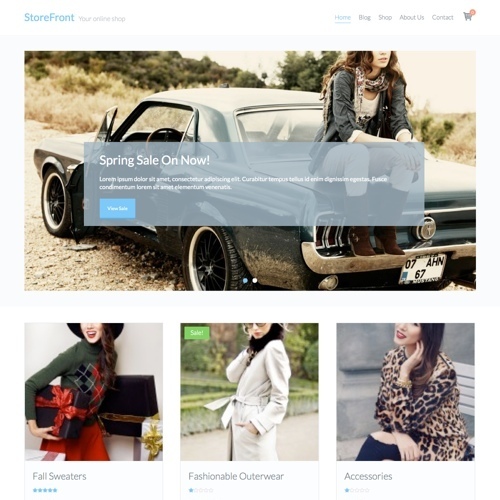 Storefront is a WooCommerce powered ecommerce store WordPress theme. It has a clean and professional design with a mobile friendly responsive layout that could be used for any type of store and products. Storefront comes with a sleek shop view, fully-detailed products page, and multiple layout templates. 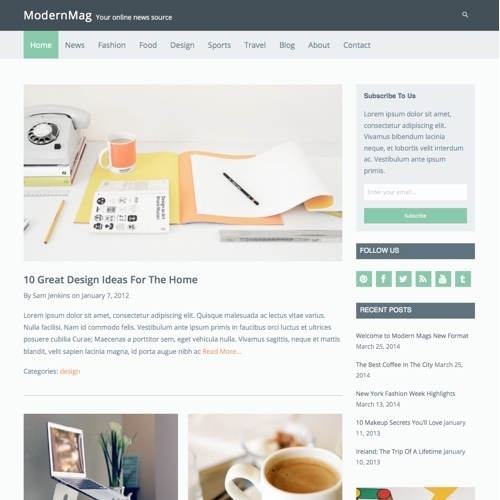 ModernMag is a magazine WordPress theme with a mobile friendly and minimal design with great typography. Some of the key features include: multiple colour skins and page layouts, widget ready design for easy customisation, visual page customizer, social media support, clean fast code and more. ThemeLab offer a couple of purchase options. Single themes can be purchased for $39 each, while a Pro Membership costs $199 for access to all themes and a VIP All Access Membership costs $349 and gives you access to all themes for life.